Nate fishes with a fly rod found in a defunct antique shop that now is his home. While watching him muscle this thing around on the river, I was grateful for my modern version. Much more forgiving for the lazy and less likely to result in a full on back ache at the end of the day. On another note, did I mention that his battered reel was a found item plucked from the woods? 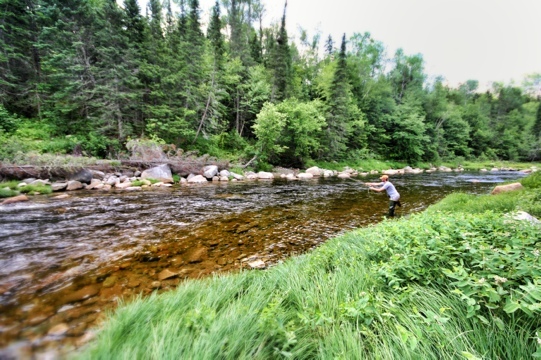 New Hampshire fly fisherman are special.